We have a varied programme of events planned throughout the year and an extensive library of magical books, lecture notes, and videos. Many of our members are also members of the famous Magic Circle. Our aim is to promote the improvement of magical entertainment in all its varied forms and to discourage the exposure of magical secrets. This is so that the enjoyment of future generations of audiences will not be spoiled. Our Tuesday meetings are normally held every other week. All evenings are open to non-members aged 16 or over wishing to come along and paying £10 temporary membership for the evening. Anyone under the age of 16 years may attend, after prior consultation with the WAM Secretary and if supervised by an adult. Access to the club room is from 7.15 pm. Our meetings start at 8.00 pm PROMPT and run until 10.00 pm (sometimes later if we have a lecture) with a 15-minute break at 9.00 pm. The club room MUST be vacated by 11.00 pm. Unfortunately JeanLuc Bertrand is unable to attend this lecture. However we have the stupendous John Allen joining us instead. His commercial magical effects include Paragon 3D, Double Back, The Destination Box, The Pain Game, Flexion and most famously The Silent Treatment. Jon’s DVD set, ‘Connection’ contains many of the routines he regularly performs ‘in the real world’. There are no knuckle-busting, sleight-heavy routines. A fantastic finale to any signed card routine, using a balloon and a move hardly ever used in close-up. Anything else of benefit that Jon can think about on the night! 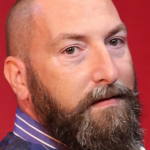 A first for WAM, when we are join by Russell Levinson from the Zodiac Magic Society who will play host of our very own BIG FAT QUIZ. Chris Garside hosts a forum for the Children’s Entertainer. 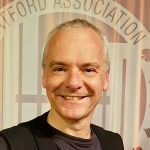 Various professional club members will join Chris to discuss hints, tips, trick selection, and a whole host of advice on entertaining those precious little cherubs. 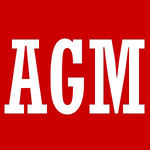 The AGM will be chaired by (wait for it) your chairman Paul Megram. This is your chance to air your views of the club. There will be the Secretary’s report from Dov Citron and the Treasurer’s report from Barry Harris. Followed by a ‘review of the year’. 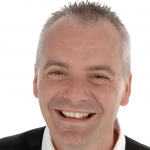 Jez Rose is a highly respected lecturer, presenter and performer. His reputation is built on his ability to explore complicated topics with tremendous honesty, clarity, warmth and humour. 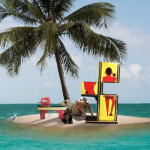 Desert Island Tricks, where two guests are asked about their life. Normally one club member and one magical celebrity. In recent years we have seen Young & Strange, Noel Britten & Jon Lenahan. Who knows who will join us this year? 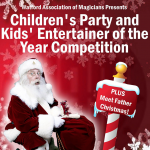 Don’t forget to bring your family and friends to the to see who will be crowned The WAM Stage Magician of the Year. Those lovely people from the Zodiac will be joining us for our annual get together of magical fun & frollics. 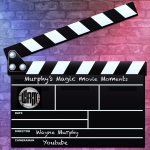 6th August - Murphy's Magical Movie Moments. 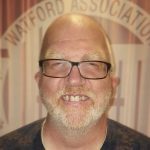 Wayne Murphy returns for more magical moments. He will then edit and present them on the night. 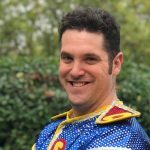 Joshua dazzles the magic world with amazing effects, routines and theory! He has published numerous articles, DVDs and has authored a best-selling book! This lecture will include magic that has been in print before, plus all-new, never before seen material as well! There will be a diverse mix of magic for everyone! Wam is proud to host the London & South East heat of the Blackpool Family Entertainer of the Year. Doors open at 4:15pm and the competitions runs from 4:30pm-6:30pm. Its free to all so please bring as many guests (both young and old) to see who will go on to represent our region in the final. 15 minute power presentations by club members on a diverse range on subjects. 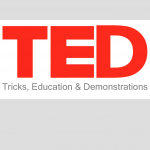 In the past we have had, 3D printing, A Guinness World record attempt, ventriloquism, balloons as decorations, magic squares and a stacked deck, amongst many other fascinating mini lectures. The Fish & Chip supper is undoubtedly one of the hi-lights of the WAM calendar. 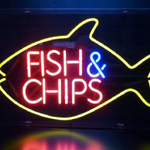 Fantastic Fish & chips followed by the award ceremony when we give the trophies the award and trophies. Then its cabaret time. 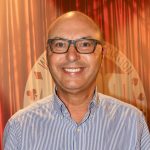 Paul Megram – Brings an all new lecture on family entertainment. Last time it was all about the BUSINESS now it’s time for the SHOW. Paul performs every routine on a regular basis, showing trick handling & performance techniques. It is no dealer dem but he will have a few original products to buy at the end of the lecture. Our seasonal get together, a Bring a Trick night followed by a Secret Santa, where everyone brings a wrapped gift to the value of £5.00. Father Christmas himself will be unhand to distribute the goodies. Our annual Christmas Children’s comp. When you (the audience) decide who will be crowned the ‘WAM Family entertainer of the year’ The doors open at 2:45pm for a prompt start at 3pm. Don’t forget to invite both family and friends to this free event. 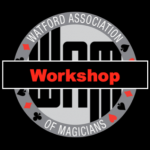 The Watford Society of Magicians history dates back to a successful show put on during the war at Chorleywood Memorial Hall on the 13th of November 1946. After the war, meetings were held at the Spread Eagle Public House, and from there under the guidance of Stanley Thomas (Chairman) and Eric Bloom (Secretary) the club blossomed, and moved to the Old Free School, Watford. After many good years at the Old Free School, the club moved first to St Mary’s Hall, then Holy Rood Church, Bricket Wood Social Club, The YMCA Orbital Centre, and finally our new home: Abbots Langley & District Working Men’s Club. Towards the end of WW2 a number of local magicians got together and held random meetings, mainly at Eric Bloom’s house. At this time some of the established clubs were trying to form a Federation of Magical Societies. One of their aims was to present shows on or near Halloween. The idea was that all advertising and receipts would be co-ordinated with a common theme going to a common charity. We decided to go along with this scheme and so on Nov.13, 1946 we presented a Night of Magic at the Chorley Wood Memorial Hall. The acts were Eric Bloom, Harry Baron, Wally Gent, John Potter and myself. The success of this venture led us to arrange for a room at the Spread Eagle in Watford High Street, a pub that is no longer there. The exact date of this meeting is difficult to determine. However, a reference in Abra No. 90 (18 Oct. ’47) shows the Association had already been formed. Another issue No. 126 (26 June ’48) tells of the first Annual General Meeting held on July 14, 1948. Therefore, I am sure that our inaugural meeting was held in the summer of 1947, probably July. At the meeting Stanley Thomas was elected Chairman and Eric Bloom was our first Secretary/Treasurer. The others present were Joe Jones (E.L.Baffel), Percy Smith, Joe Conn (Zicardi), Wally Gent, John Rose, and myself. We were fortunate in those early days to have several members who were also members of London clubs and we were able to persuade some well know magicians to come and give us lectures. Peter Warlock was most helpful and came to our meetings several times. Our fortnightly meetings at the Spread Eagle went along well until one evening we found that the room had been double booked. It seemed that we were no longer welcome because, although we did buy our drinks before going upstairs, once there we were so involved in our magic that we forgot to order more drinks. That evening we met at Stanley Thomas’ furniture shop in the High Street. We found a home at another now defunct pub, the King’s Head, but unfortunately the same thing happened and we had to move on. Finally we found a home at the Old Free School and stayed there for many years. On 25 April 1949 we held our first Dinner at the Crown, Garston. There were 83 present and the menu was excellent. The entertainment was provided by Geoffrey Buckingham, Frank Boynett, Al Koran, and Tom Harris. Further annual Dinners were held at various venues, but those held at the Town Hall were grand affairs with nearly 200 attending. And yet when the members stood to toast the guests there would be only about twenty standing! We had a lot of friends! As time went by, we attracted most of the local magicians and we also had members from St. Albans, Hemel Hempstead, Harrow, and Luton. This meant that we could present magical evenings with all the best talent around. We put on several shows at St Mary’s Hall, now an office block. These were free, but we took up a silver collection which swelled the coffers considerably. We also supported the Annual Days of Magic and in October 1947 we put on shows at the Guildhouse, Croxley Green, and Oddfellows Hall, Watford. The programme consisted of myself to open, Harold Moon, Stanley Thomas and his two daughters with their wonderful Chinese act, Doug How, Anthony Norman, Eric Bloom, and John Rose with his living shadows, all compèred by Wally Gent. Encouraged by these shows, we went mad the next year and put on five shows in Bushey, Croxley Green, Kings Langley, and two night at St. Johns Hall, Watford. Our first President was Cuthbert Andrews, a very fine amateur actor, and on several occasions he opened our shows with a prologue which he wrote himself. For a show at St. John’s Hall he was dressed as a wizard and I had made up a cauldron and fire effect and a flashpot which was to give off a lot of smoke and a blinding flash as Cuthbert came to the end of the prologue – giving a fine start to our show. 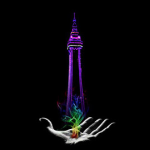 We were on very good terms with most of the London clubs and often had visits form their members and we would repay these by supplying acts to help out with their shows. 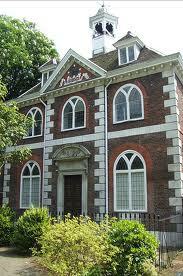 One such club with which we are still very friendly is the Zodiac Magical Society of Ealing. For many years we have had a hard-fought Battle of Magic with them and I think the honours are just about even. We also have several competitions within the Association, the first of which was started in 1958 when Gil Leaney, who was our first Vice-President, presented us with a shield to be given to be given for the best after-dinner act. I was fortunate enough to win this first competition. We managed to put on shows for charity until the late sixties when the effect of television was such that it became very difficult to get an audience. But recently we’ve had the opportunity to do several, one for the Bushey Conservative Club, and another for Bushey Methodist Church. We have visited several Clubs to provide the evening’s entertainment for their weekly or bi-monthly meeting. It gives our younger members the chance to get a bit of experience before an audience. Our dinner of 1972 was a glittering affair with a cabaret that was out of this world, thanks to Tom Angus then a new member (also a member of the Zodiac). He also found us two new Presidents: Harold Taylor and Alf Moore. At one of our dinners he arranged for everyone to play Bingo. The way the cards were printed everyone won at the same time! Around the mid seventies St. Mary’s Hall where we met was demolished. WAM went into hibernation until Vic Marks took the initiative and called a meeting of Alan White, Myles Sinclair, and myself to see if we could revive our club. Vic was able to arrange a meeting space at the Holy Rood Church complex and we’ve met there ever since. In its various rooms we’ve held our special events, competitions, lectures, and Christmas party all arranged by Vic and his wife Freda – and a jolly good job they’ve done. At our 1988 party, we were pleased to welcome Paul Daniels, his wife Debbie and his son brought along by our President Terry Seabrooke. We all had a wonderful time, and during the evening there was Paul swapping card tricks with the boys just as if he was a member! We have a renewed rivalry with the Zodiac Magical Society through our annual competition (modesty forbids revealing who has won the last two years). We have revived the Shield and one Cup contest and now go form strength to strength though another fifty years! In 1996 WAM celebrated its 60th Anniversary by holding a one-day magic convention. This was held at what was then the Dean Park Hotel in Watford. The convention was a complete sell-out with just over 200 magicians attending. The day was ended with a full evening show that featured Billy McComb, Fluke, Kovari and Kovari Jnr, John Peake, Alan Shaxon, John Wade, and the great Xar, all compèred by Terry Seabrooke. It was at this event that Billy McComb provided a Trophy to be awarded each year to the WAM member who had contributed most to the club throughout the year. Towards the end of the nineties the club had grown in size, and it became obvious that we would soon need bigger premises. There was also one other deciding factor in the decision to move. The Church had started conducting marriage guidance counselling in the adjoining room to WAM. It transpired that as people were opening their hearts and describing how difficult their lives were, they would hear much cheering and applause coming from the next room! The writing was on the wall. 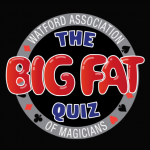 So reluctantly, although it had been our home for many years, the Watford Association of Magicians packed its bags and moved to the North Orbital Community centre. 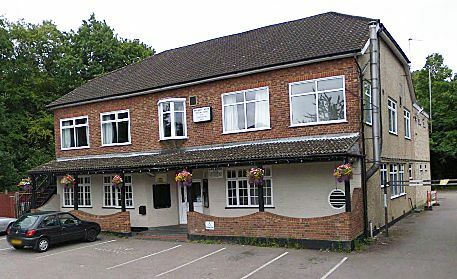 It was a good venue, but with ever increasing costs the decision was made in 2002 to move to our present location, the Bricket Wood Social Club. We moved in at the beginning of 2003 and it has proved to be a great venue for WAM. At the beginning of 2006, WAM celebrated its 60th anniversary by holding a Gala Dinner at the Metropolitan Police club in Bushey. The event was attended by over 130 people. They enjoyed not only good food but also a great cabaret. The show was opened by Scott Penrose, and was followed by Michael Pearce, a very funny juggler with an unending stream of one-liners. We were then treated to an illusion act called Safire, and the show was closed by Wayne Dobson. 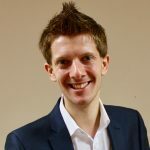 The entire show was compèred by our very own Tim Shoesmith, who did a brilliant job of bringing it all together. 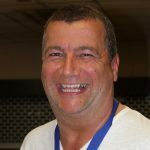 Sadly, on the 11th January 2011, following several months of ill health, WAM lost its much beloved President, Terry Seabrooke. Terry was a great ambassador for the club during his many years as president, and he remains much missed by the membership. 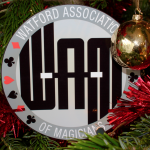 The Watford Association of Magicians continues to be an important club within the world of magic, and many members have gone on to win recognition at national and even international level. It is also renowned for being a friendly club, and I’m sure that this plays an important part in its continued success. Today we have around 70 members who are a mix of professionals, semi-professionals, and enthusiastic amateurs. 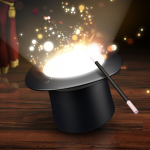 There is a long list of famous magicians linked to the club. Membership of WAM costs £40 per annum. Temporary membership for a night costs £10.